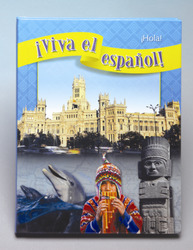 The first textbook offers a smooth continuation of Systems A, B, and C or a place to begin learning Spanish. Teachers will find it easy to tailor the ¡Bienvendios! section to serve as a review or an introduction.